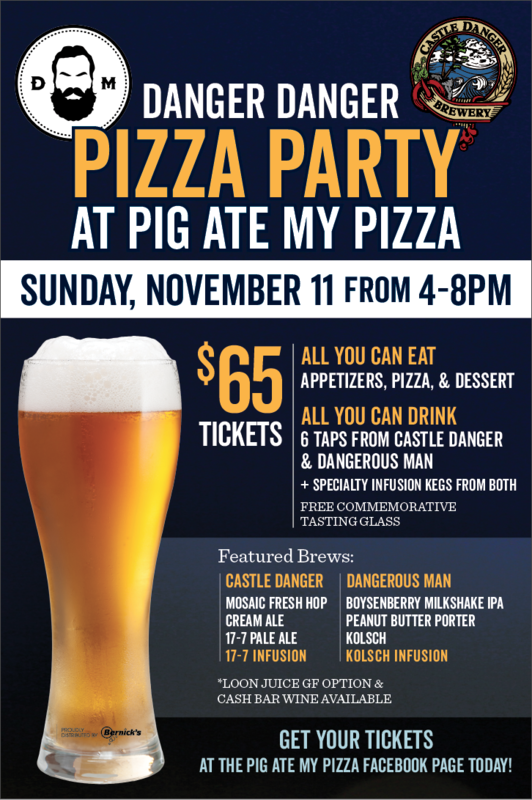 Join us at Pig Ate My Pizza on November 11th as we partner with our friends at Dangerous Man Brewing for a dangerous tap takeover and pizza party. For just $65 you can get all you can eat ‘za, appetizers, dessert, and beer (plus a free commemorative tasting glass). Each brewery will have 4 tap lines, including one special infusion keg. We’ll see you on 11/11!